Inspired by the African Serengeti and the endless expanses of the Asian plains, the 1,800-acre San Diego Zoo Safari Park offers you an exotic safari adventure unlike any other outside of Africa itself. 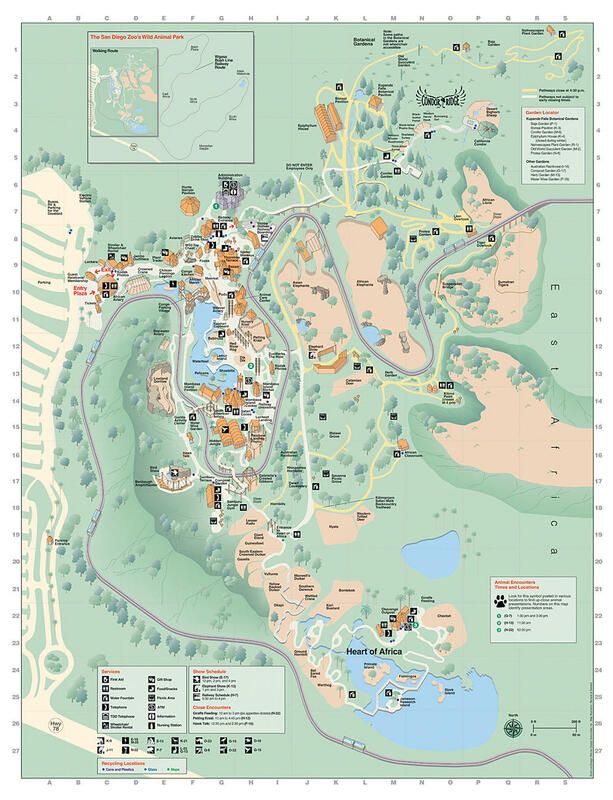 San Diego Zoo Safari Park is home to more than 3,500 rare and exotic animals - most of whom roam freely in vast enclosures. With mobile tickets, simply scan your phone for direct entry into the Safari Park. Witness a family of giraffe mingle among the gazelles and cranes while rhinos gather at a watering hole. Observe South African cheetahs lounging on a sunny hill or gaze into the eyes of the majestic California condor. Board the Africa tram tour for a 30-minute tour past herds of elephants, zebras, and several endangered species.Venture into the dense forests and grassy savannas at the Heart of Africa, a 32 acre safari trail. Miles of walking trails lead guests to overlooks of lions, tigers and special encounters with exotic creatures. Stroll through Nairobi Village for shopping and dining. With mobile tickets, simply scan your phone for direct entry into the Safari Park.